We in the Parish of Frankfield/Grange, Cork value and encourage the participation of children and young people in parish liturgies and in activities that enhance their spiritual, physical, emotional and social development. We recognize the dignity and rights of all children and are committed to their protection and support. In keeping with this we will work to do all in our power to create safe environments for children and young people in order to secure their protection and enable their full participation in the life of the Church and in particular in the life of our parish. 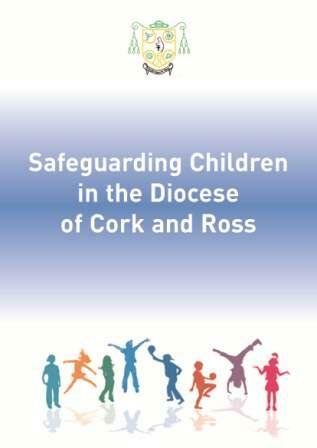 On Monday November 14th, 2011 Bishop John Buckley launched a revised policy document entitled Safeguarding Children in the Diocese of Cork and Ross. To view this document please follow the link below. Please note details of Parish Policy and details of Statutory Bodies and Diocesan Personnel on display at all church doors. These are in accordance with the Diocesan Policy Document, ‘Safeguarding Children in the Diocese of Cork & Ross’. Parish Safeguarding representatives – Robert Oldham 086-225 9247 & Maureen O’Donovan 086-8367255.